Do you need cash now so that you are ready by the time payday arrives? Do you want cash fast in order to meet an important obligation or make a special purchase? Are you looking for a trusted provider of payday loans and payday advances to help you with your money needs? If so, then you’ve come to the right place. We work hard to make sure that you get cash today, when you need it. We offer cash loans and cash advances to our customers. We have a goal of providing the utmost professional services to those who need immediate financial assistance. This includes everything from meeting your payday advance needs to getting you the cash right away. After a quick application process, we can help ensure that you get the money you need in a matter of minutes. We have been providing fast cash and cash advance services to customers in the greater Las Vegas and Reno areas for over 20 years. We are known for our reputation of providing excellent service, so you know you can trust us to handle all of your cash advance needs. If you need cash fast, then call us today. We have locations throughout the greater Las Vegas area, and are located in Reno and Henderson as well. 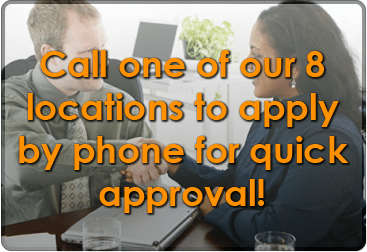 Call us today to apply by phone for a quick approval and walk out with cash today!